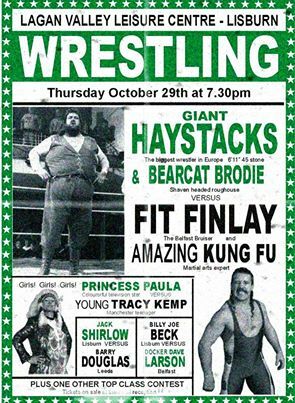 David Finlay was born on the 20th October 1958 and from an early age it was inevitable that young Dave was to follow in his fathers footsteps and enter the world of professional wrestling. Dave was trained by his father who also ran shows in Carrickfurgus and his first professional match was in 1974 after he had progressed from the amateur ranks. Dave wrestled in his native Northern Ireland with a modicum of success for four years until the bright lights of England came calling and he joined the top promoters of the day under the Joint Promotions banner. Dave was an instant success with the promoters and was soon one of the most recognisable youngsters in the sport taking on many of the games biggest stars. On the 9th June 1982 Dave was rewarded for all of his hard work when he was given the opportunity to face Alan Kilby for the British Heavy Middleweight title. Dave was not going to let this opportunity go to waste and after what was described by many as a thrilling but was victorious and was crowned the new champion. It was at this time that Daves then wife and fellow wrestler Paula Valdez was often seen in his corner and it was shortly afterwards that she became his full time manager and was to be known as Princess Paula. Paula was to become as well known as Dave and would often scold her man when the bout was not going to her liking. Dave Finlay was now becoming a household name, he teamed up with his good friend Skull Murphy where, in 1982, they won the World of Sport Tag Team tournament and had great success against other tag teams of the time. However, Dave was soon to take the next step on the wrestling ladder in his solo career. 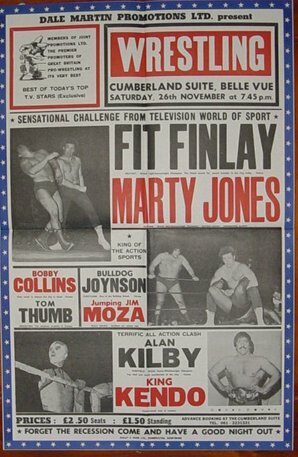 His next achievement was to win the vacant British Light Heavyweight title by winning a tournament staged by Joint Promotions whereby he defeated Ringo Ringo in the final. By the mid 1980s Dave had established himself alongside the likes of Marty Jones and Rollerball Rocco and Daves biggest achievement came when he defeated Marty Jones for the World Mid Heavyweight title. These two men were evenly matched and their bouts have gone down in history as some of the greatest seen in that weight division. Finlay and Jones wrestled each other over the next few years trading the belt back and forth during this period losing it to Jones for a final time. However, this was not to be the end of Finlays championship reigns, he went onto win the British Light Heavyweight title and also the British Heavy Middleweight title by defeating Chic Cullen in a bloody tv bout seen by millions of viewers. Dave was now one of the biggest stars in British wrestling, even having a short feud with Big Daddy culminating in an F A Cup Final Day match on ITV. Finlay had wrestled at many weights and went on to win the British Heavyweight title but this was to be his last British title. In 1988 ITV axed British wrestling from the tv screens, at this time Finlay was still in his prime and was pulling in big crowds in the UK. However, with no television coverage Dave was tempted to leave the English shores and headed to Europe which at the time was still promoting large shows on a nightly basis. Dave started to wrestle for the CWA (Catch Wrestling Association) in Austria where he was very successful winning many singles titles. Dave also formed a tag team with his old foe from the English ring Marty Jones and they proceeded to defeat Tony St Clair and Miles Zrno for the CWA Tag Team titles. Dave also had very successful tours of Germany and Japan where he wrestled many of the foreign wrestles who were, like Dave, on tour. In 1989 the WWF staged a show in the UK and Dave was invited to appear in a match whereby he teamed with his former tag team Partner from the early 1980s Skull Murphy and Rollberball Rocco. Finlays performance as expected impressed the powers that be at the WWF and it was only to be a matter of time before he would be invited to work for them on a full time basis. 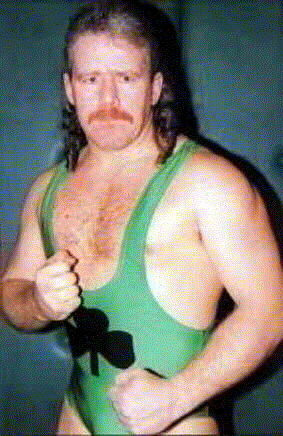 With British wrestling in decline Dave wrestled more in Europe before being offered a contract to join the American based World Championship Wrestling. 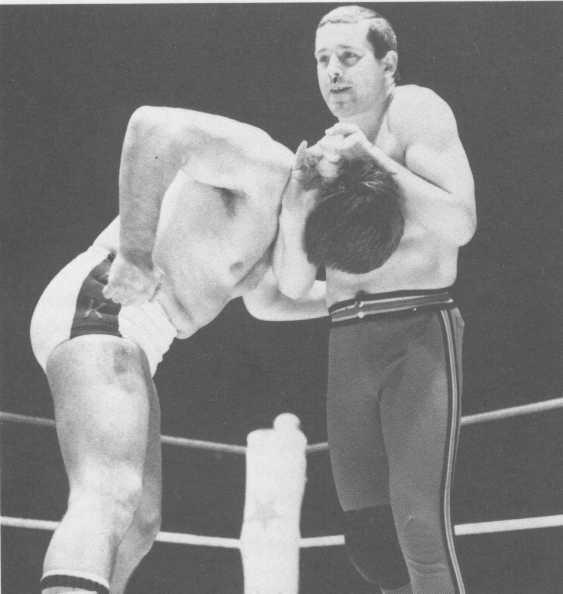 During his tenure here he won the World Television title and wrestled a number of the stars on the American circuit. In 2001 Dave went to work for the now named WWE where (apart from a short period) he has remained. Initially Dave wrestled in the WWE under the name Finlay but with younger stars emerging has now gone into semi retirement spending the majority of his time as a trainer for the WWE teaching the ring skills to the up and coming stars of the future. 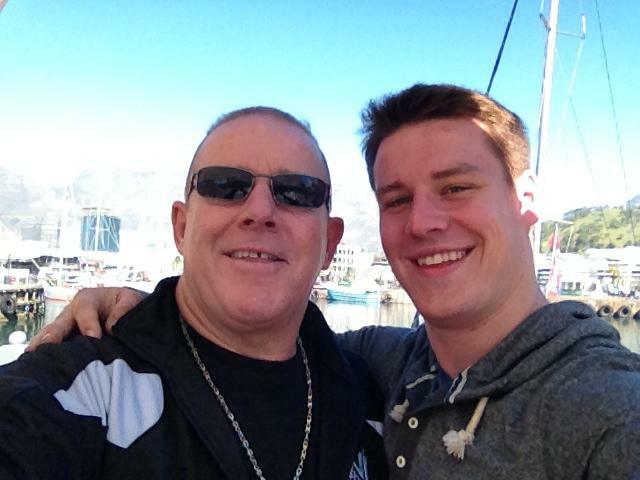 Dave now resides in Atlanta, Georgia with his wife Mel who he met on one of his many tours of Germany and their three children, all of which have entered in the amateur wrestling ranks. Dave Finlay remains one of the most recognisable wrestlers in the world today and his achievements speak for themselves (he actually won titles in four different weight divisions) and for this reason we feel that Dave more than deserves his place in the Hall of Fame.